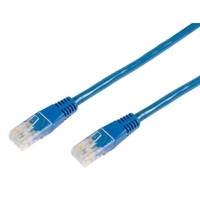 Category 6A (CAT6A) cable is currently being specified for data centres to support Gigabit network applications and higher bandwidths and as the streaming of 4K UHD content increases, CAT6A is becoming the right choice for more and more systems.Support data rates up to 10GSupport bandwidth up to 500MHzS/FTP double shieldedEnhanced PoE performanceColour coded connectors with added screeningLSFZH rated cableNo need to guess the length of the cable Its embossed on the connector! 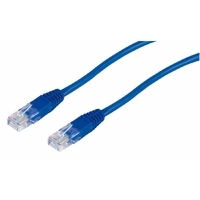 Category 6A (CAT6A) cable is currently being specified for data centres to support Gigabit network applications and higher bandwidths and as the streaming of 4K UHD content increases, CAT6A is becoming the right choice for more and more systems. 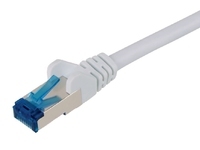 Support data rates up to 10GSupport bandwidth up to 500MHzS/FTP double shieldedEnhanced PoE performanceColour coded connectors with added screeningLSFZH rated cableNo need to guess the length of the cable Its embossed on the connector! 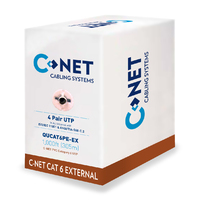 CAB-CNET-QUCAT6PVC C-NET CAT6 UTP COPPER CABLE 24 AWG PVC ICE BLUE 305M BOX.Great price and installer friendly carry box. CAB-CNET-QUCAT6PE-EX External Cat6 Unscreened TwistedPair (UTP) Cable PE CPR FCA. 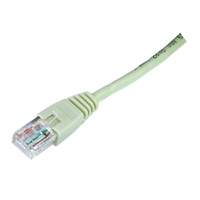 CAB-CNET-QUCAT6LSZH Unscreened Twisted Pair (UTP) Cable LSZH CPR DCA. Great price and installer friendly carry box.